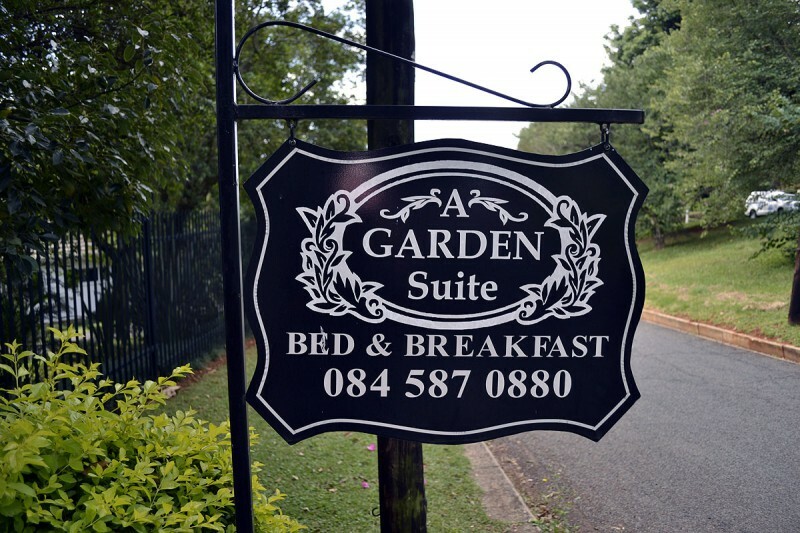 A Garden Suite Bed and Breakfast is a small, family run B&B in the lush suburb of Athlone Pietermaritzburg. 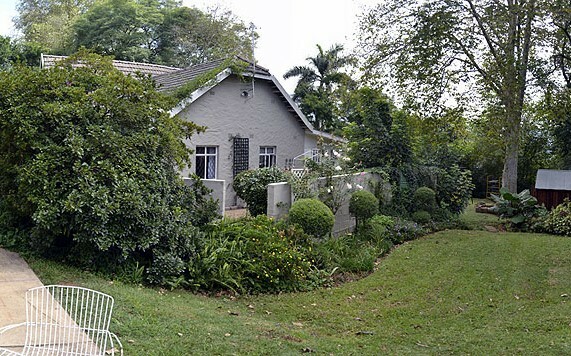 We offer cosy, affordable accommodation in a beautiful garden setting. 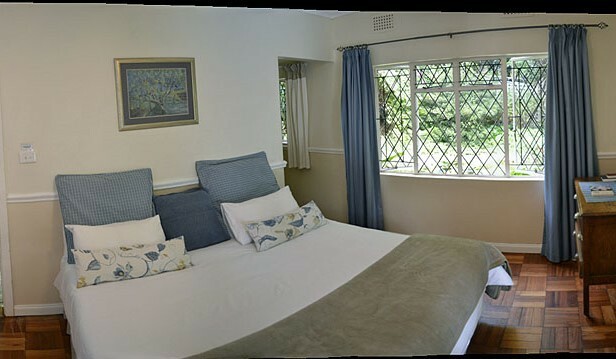 We have one large suite which is ideal for families or friends sharing and then the French Room and Snug. 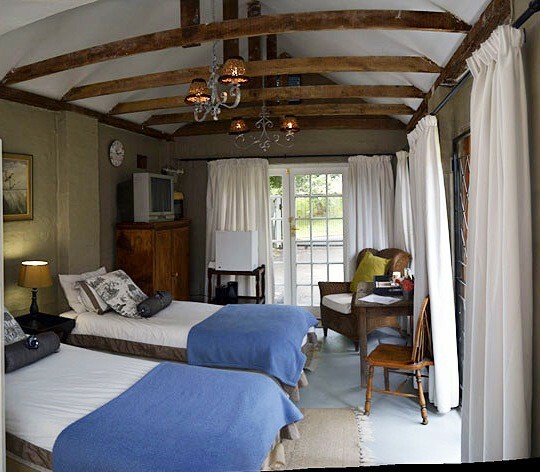 Our beds convert to singles or King beds depending on the needs of our guests except for The Snug which can only sleep two singles. 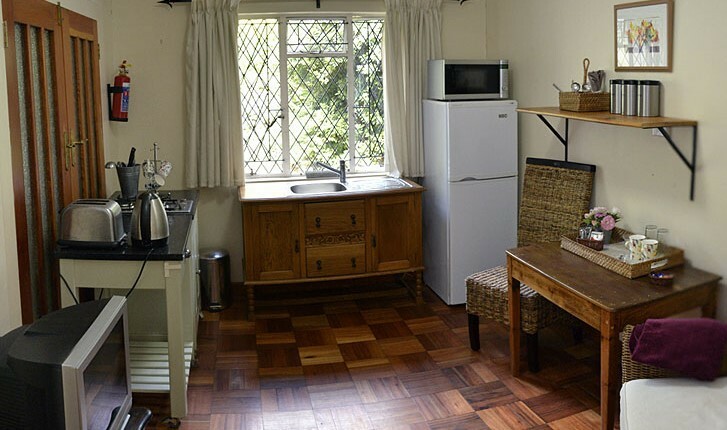 We have self-catering facilities in the Main Garden Suite and facilities such as bar fridges, microwaves and tea stations in the other rooms. 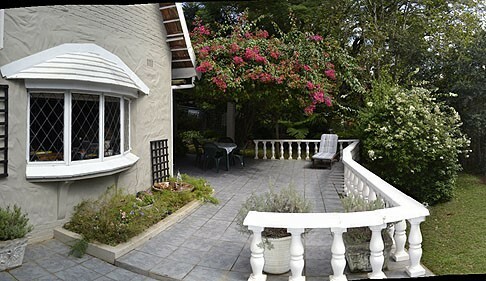 We have free Wi-Fi and Mnet in the Main Garden Suite but normal SABC channels in The French Room and The Snug. We offer a lovely cooked breakfast for our guest in our gorgeous conservatory. The Main Garden Suite is a large suite off the wing of the house. It has a private varanda and entrance. It consists of a main bedroom (singles or king bed conversion) and a den with kitchenette. 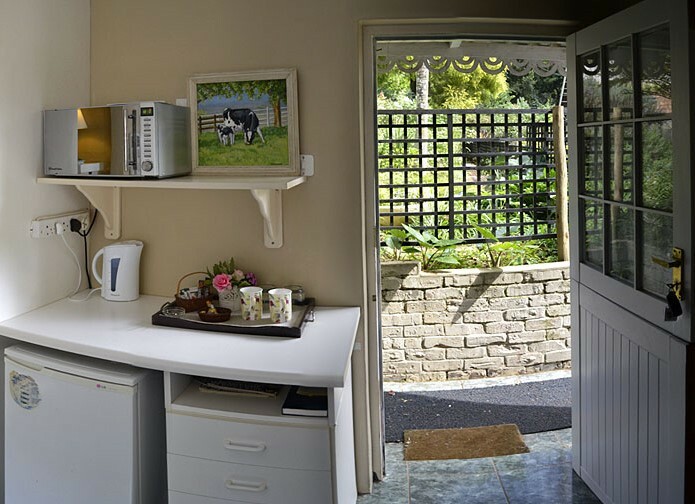 This is our self-catering unit which consist of a granite island with gas hob, microwave, fridge, sink and tea station. The den is also the TV lounge (m-net). There is a dressing room and en-suite bathroom with bath/shower combination. The den can be readjusted to accommodate an extra adult but then you lose some of the kitchen facilies (Granite Island with gaz hob on wheels). 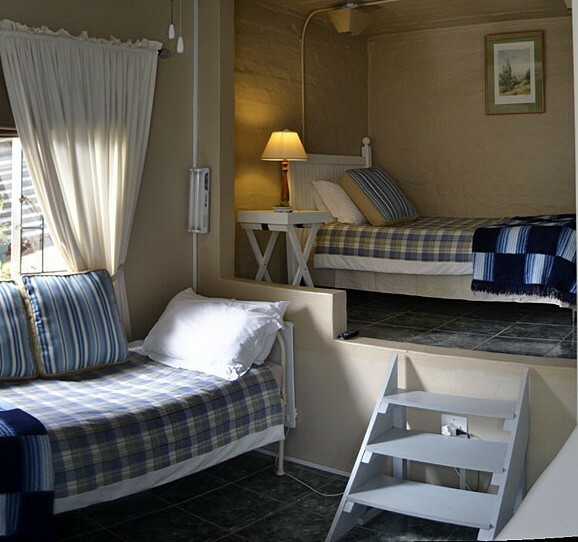 Children under 10 are usually happily accommodated on mattresses so that the self-catering facilities and little lounge are retained. The French Room is one of our smaller rooms. 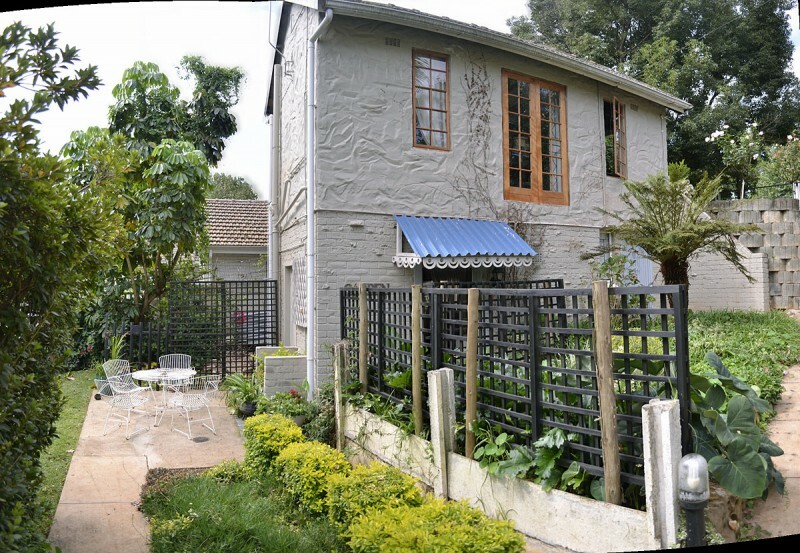 It is seperate from the house and great for a well-priced short term stay. It has a modern en-suite shower and again beds can be single or convert to a King. It has a tea station, small bar fridge and mini-microwave. It has a TV With SABC Channels. The Snug is our cute, cosy 'budget' room. 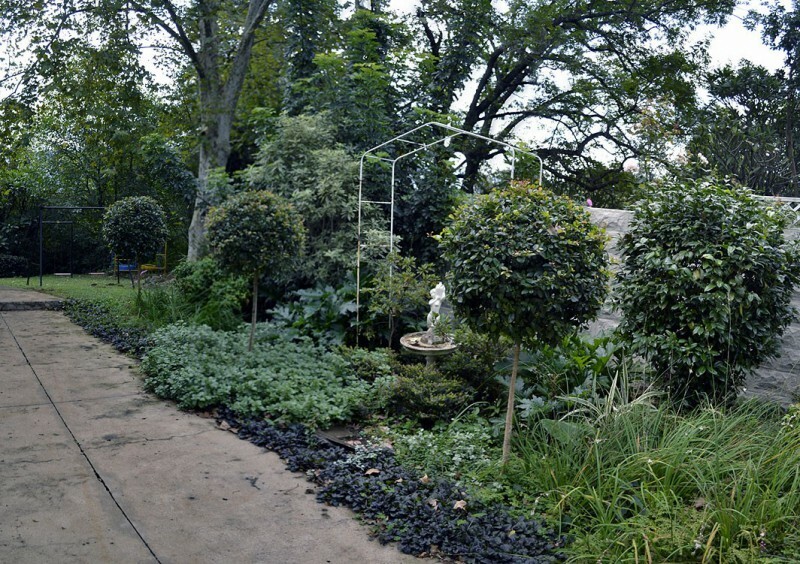 It is nestled in the garden under the French Room. It sleeps two in single beds on different platforms. With a French Screen and platforms bing on different levels, it offers more privacy to singles sharing. 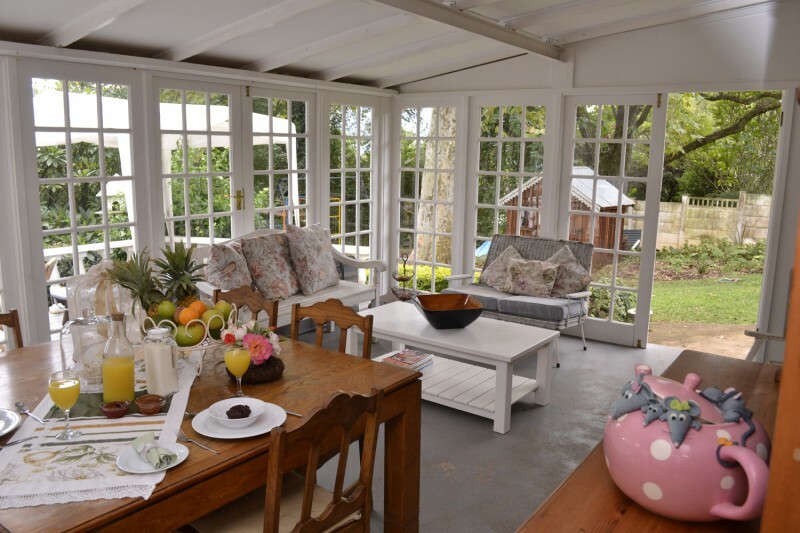 It has a small kitchenette with fridge, toaster, kettle, microwave and fridge and is really for perparing light meals or heating pre-prepared meals. It has a small en-suite with shower.